This is a simple game that was shown to us by Andrea Hillbrick, and can be used at any year level! It is simply a counting game. 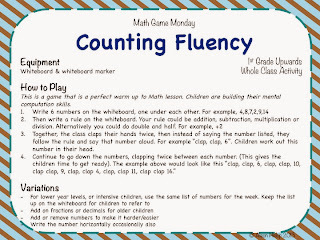 I used it last week in my class - it was amazing how confident the children became with they counting skills across the week (we played it everyday) and by the end of the week, the children were making up the numbers and choosing what to do to each number! Click on the instruction sheet to download. Thank you to Jessica Weible for the cute background. All previous Math Game Monday's are available on the Math Game Monday Page. Thank you so much! My students love your math games! Aww, thanks Lisa! I'm glad they love it! Thanks! I will use this to reinforce number patterns with my first graders! Blake Education is Having a SALE! A BIG book of Math-tivities! 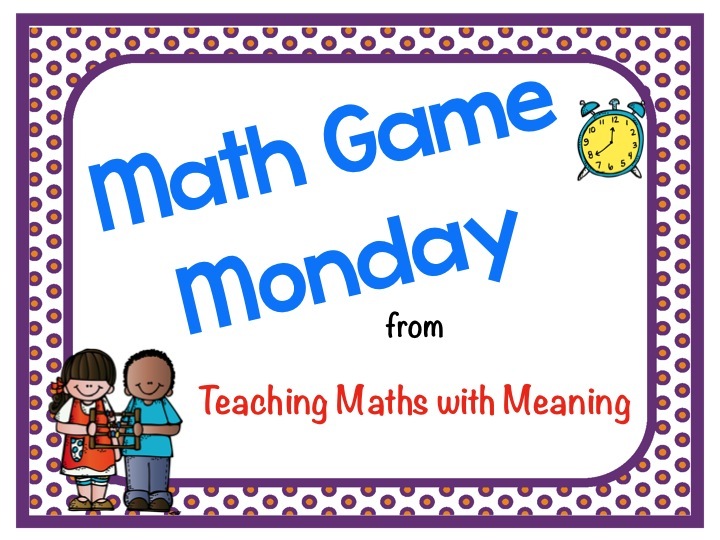 Math Game Monday - Posted From Afar!